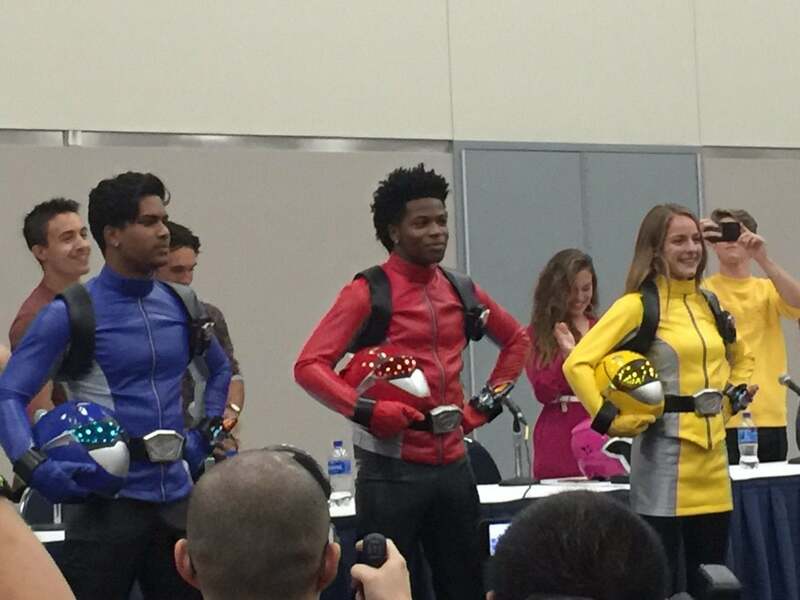 The cast for Hasbro's Power Rangers Beast Morphers was officially revealed today at Power Morphicon, and here are all the details. 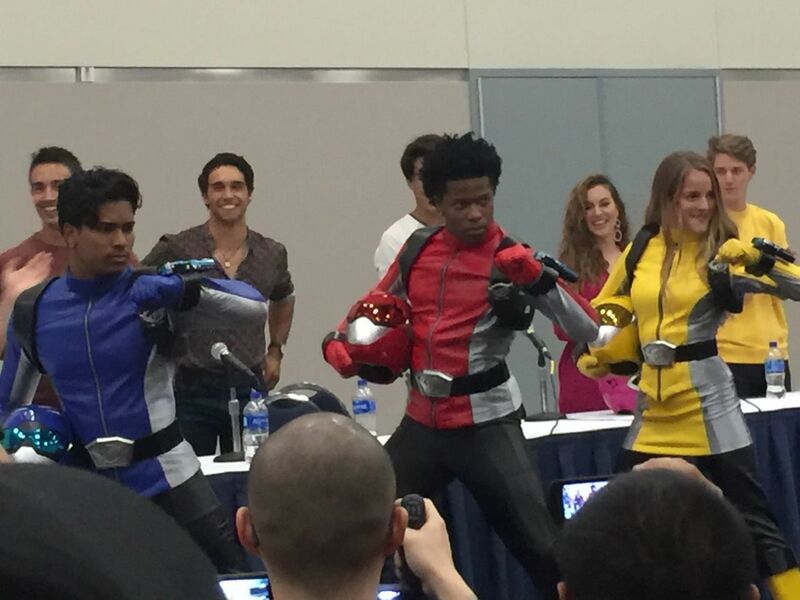 The cast includes Jasmeet Baduwalia as the Blue Ranger, Jacqueline Scislowski as the Yellow Ranger, and Rorrie Travid as the Red Ranger, and they debuted to massive applause at Power Morphicon. You can see a few images of the cast below. You can find the official description for Power Rangers Beast Morphers below. "Set in the future, a secret agency combines a newly discovered substance called “Morph-X” with animal DNA to create the Power Rangers Beast Morphers team. The Rangers must fight off an evil sentient computer virus bent on taking over the source of all Ranger power, the Morphin Grid itself. Featuring never-before-seen leather suits and an all-new beast-themed arsenal (including dynamic new Zords), fans should get ready for a season full of secret ops and morphinominal fun." Beast Morphers will be adapted from the series Tokumei Sentai Go-Busters, which is the 36th season of Super Sentai. The latest season of Power Rangers, Ninja Steel, was actually based on the 39th season Shuriken Sentai Ninninger, and many fans thought that the next to be adapted would be season 41, Uchu Sentai Kyuranger. When Saban announced Go-Busters, it was a welcome surprise. Power Rangers Beast Morphers launches sometime in 2019. What do you think of the cast? Let us know in the comments!